CSI is a Big Tent synagogue, and we welcome all families into our community--including, and especially, Interfaith families. Rabbi Russo performs a special aufruf--or pre-wedding blessing at the Torah--for interfaith couples, and many of our Interfaith families participate in the Interfaith Outreach committee to ensure the needs of all our families are being met. We also value Interfaith relationships and outreach beyond our synagogue’s walls and into the greater local community. Rabbi Russo is a member of the Rabbinical Assembly, where she has cultivated close relationships with clergy members representing other communities of faith throughout Rockland County. More recently, there has been a grassroots effort among congregants across many of the area’s synagogues, churches and mosques to build stronger person-to-person relationships for solidarity and community building. CSI has been at the forefront of this effort, and sponsored the region’s first Interfaith Dinner in Spring of 2017, which was attended by 120 people. Building on this momentum, more such events are planned for the future. Our Cantor, Hazzan Michael Kaspar, also leads our congregation’s musical participation in the county’s annual Interfaith Thanksgiving Service; all voices are welcome! 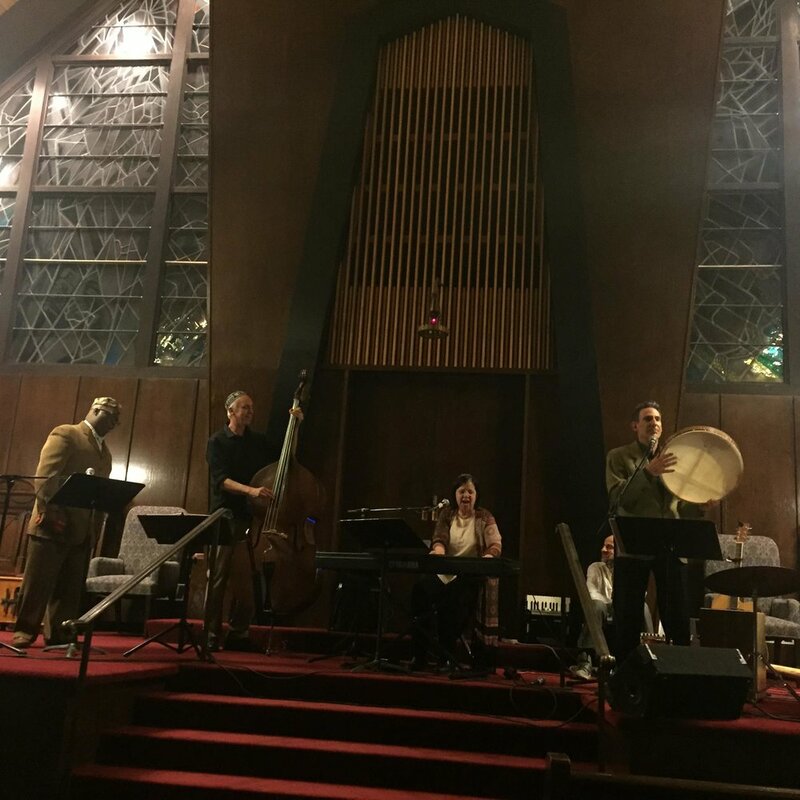 Peace Ensemble - A Faith Initiative is an ensemble of Christian and Jewish clergy and musicians whose aim is to bridge the religious divide through music, traditional and original. Amongst the many things they have in common is a shared faith; faith in the Creator, in each other, and faith that peace is the answer.